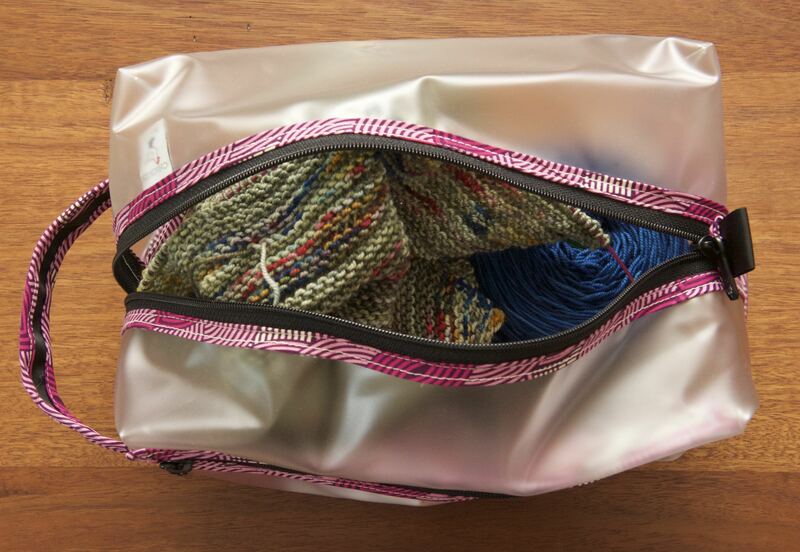 Welcome to the first entry in a series of Knitting Bag stories. This first edition is brought to you by my trip to Stitches West. I look forward to rifling through the knitting bags of friends and followers, please get in touch if you’d like your Knitting Bag featured here. This is my Chicken Boots Knitting Bag, custom made and sewn on the market show floor of Stitches West. Yes, you’ve heard correctly, it was custom-made for me. 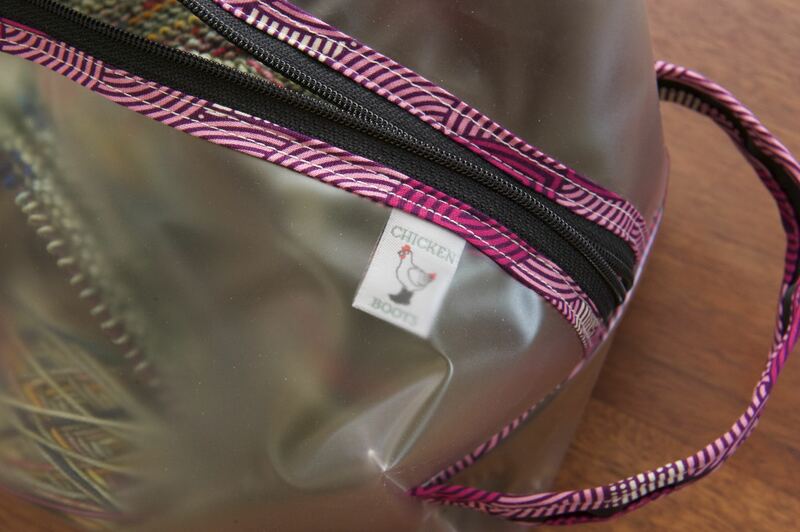 I chose the trim and the fabric pocket for the notions side-pocket and it was stitched together at Stitches West. The clear vinyl casing makes it easy to identify which project is housed inside, for people who have several projects on the go. 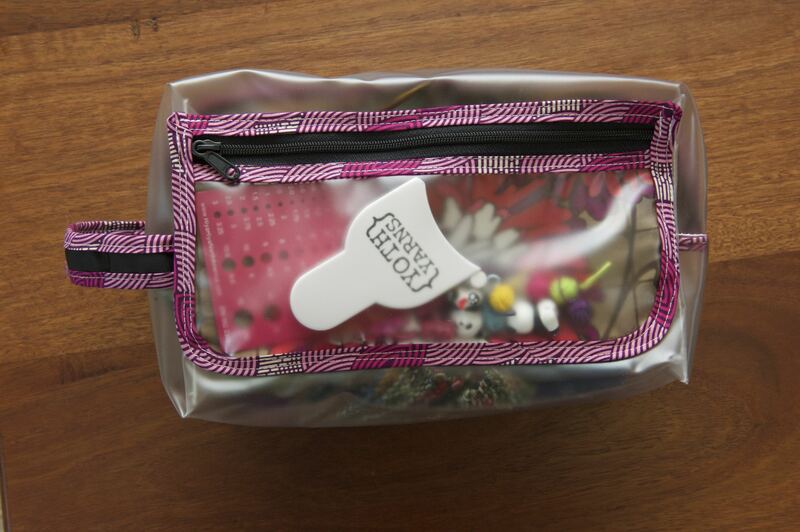 The side pocket is a perfect little notions carrier, able to accommodate a needle gauge and a large tape measure as well as smaller bibs and bobs. The stitching is quality and the zipper runs effortlessly. Inside is my Clincher scarf project, but I could fit in a much larger project if I wanted. Clincher Scarf project by Ash Kearns. The yarn is Colinette Jitterbug in colour ways: Toscana (green) and Velvet Damson (blue). 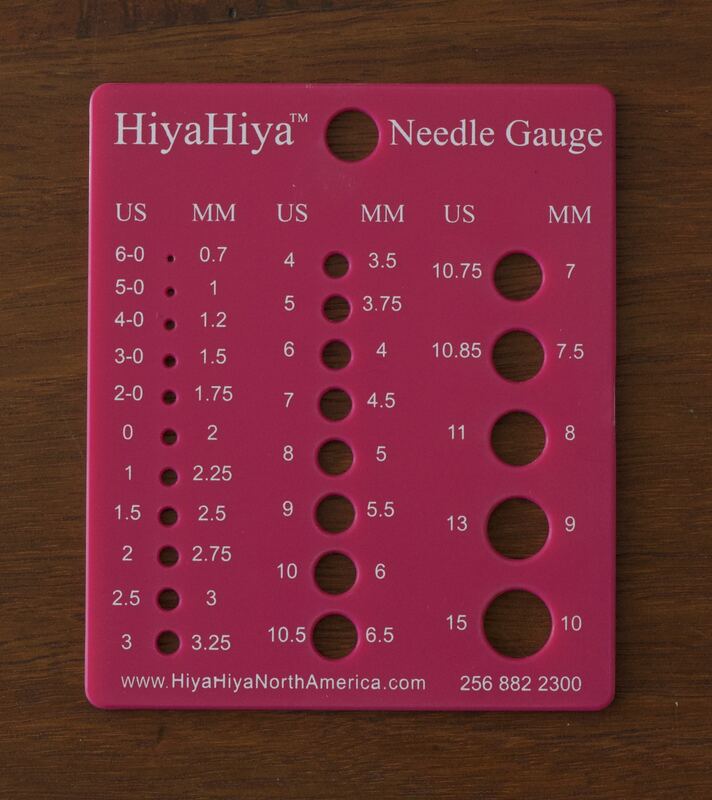 Hiya Hiya: needle gauge, Kitty snips, Panda needle stoppers (necessary to protect this bag from pointy needles) stitch markers & darning/sewing needle. (I’m a bit of a Hiya Hiya fan). 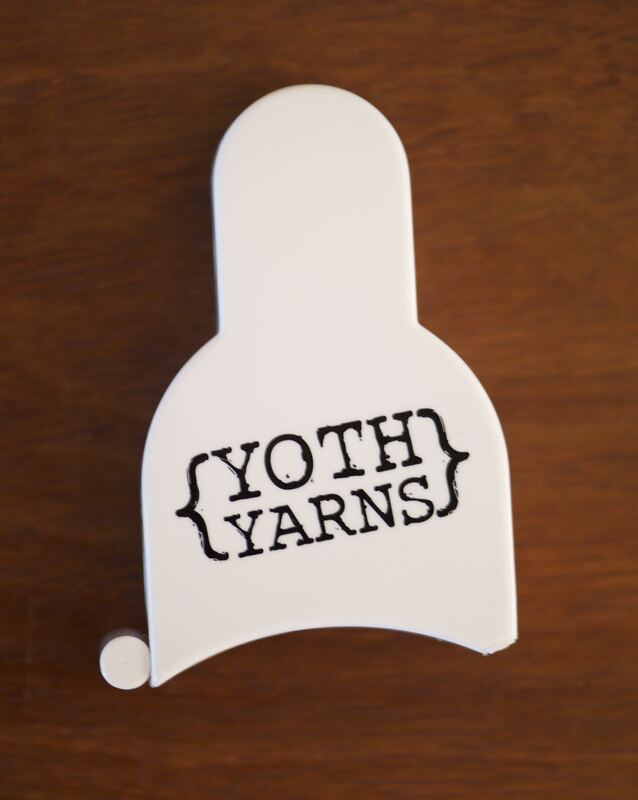 Yoth Yarns tape measure: I picked this up at the show, it has a handy little clip-in function, making measuring your bust or another circumference much easier. I received my Clincher Scarf pattern as a gift from Susanne after admiring hers. And it’s a great pattern! Once you’ve established your rhythm it is the ultimate project in mindless knitting and great for long waits at airports, just saying. Leave a comment below (with your Rav name) and you’ll be entered into a random drawing to win the Clincher Scarf pattern. You must be a member of Ravelry so that I can gift the pattern to you. Entries close March 20th. 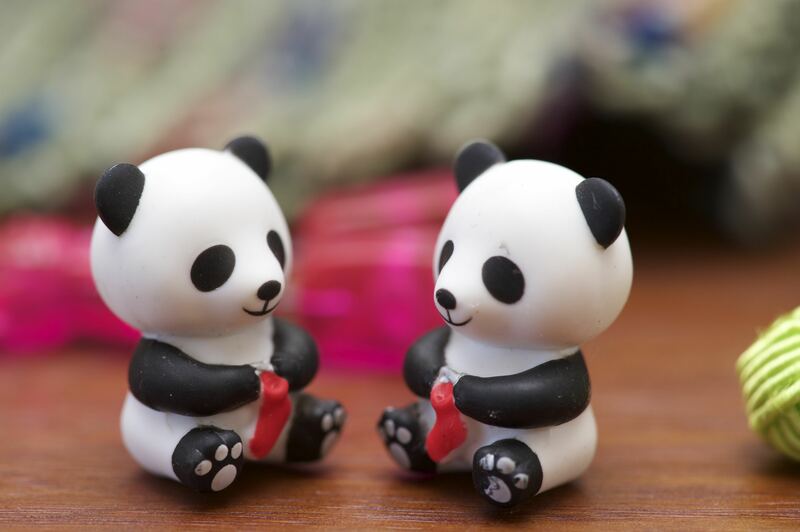 Lovely!! I miss you all! Love your bag (and the idea behind this post)! 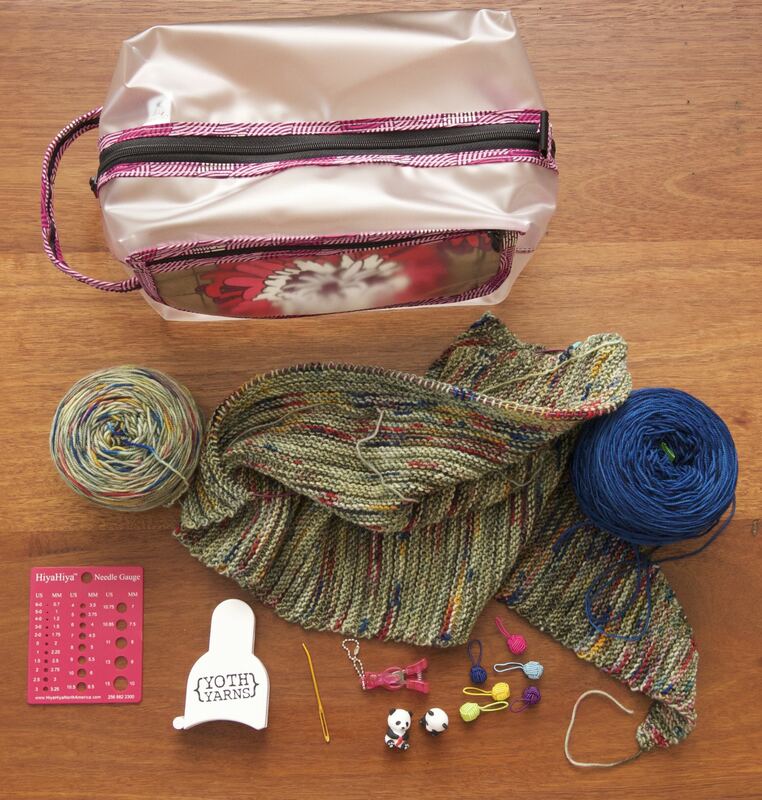 Great to see what you’re working on and to see the lovely knitting tools you have in your fab new bag! ← Richmond Knitters goes to Stitches West!